In the booths established in community the target population of children was covered under the immunization programme. But at Padshahi Bagh transit booth the volunteers stopped almost all the vehicles and covered the children traveling from one area to another alongwith their parents. Around 400 children were covered by the volunteers and immunized on spot. This time the community health officer approached Humanity welfare Organization Helpline for effective and successful immunization of the programme. Thus HWOHL was selected as nodal agency for the successful implementation of pulse polio programme in Bijbehara. 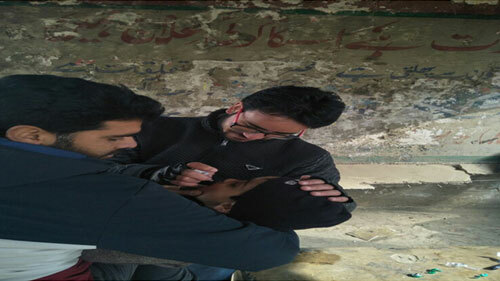 Humanity Welfare Organization Helpline team along with other local volunteers participated in the programme and were placed in all the polio booths in the Bijbehara. Our team members and volunteers performed free services on all days from polio day to House to house polio programme. All the important tasks were assigned to Humanity Welfare Organization starting from pulse polio drops intake, documentation and marking of houses and our organization in this regard performed a commendable role and got appreciation from all stakeholders. The immunization programme started at 9:30 AM and whole team Humanity Welfare Organization participated in this event along with all volunteers. In this event around 400 children were immunized. The pulse polio volunteers of our organization performed tremendous job by covering the expected dropouts traveling during the Sunday. Our organization has history of active participation in the pulse polio immunization programme. At the time of inception of pulse polio immunization programme in 1995 the chairman of our organization participated in the programme and since 2002 Humanity welfare organization Helpline volunteers participated in the total success of the programme in various far flung areas like Panad Khiram, Mahind, Wopzan, Waghama, K. Kalan etc. The main motive of our organization is to participate in all such programmes that prevent the disability. As polio disease hamper the mobility of children for life time thus our organization also take part to eradicate poliomyelitis disease from planet earth as there is no cure to this disease. But it can be prevented and immunization is at present the most effective method of prevention of the disease. Vaccine provides effective immunity against all the three types of polio virus. This is highly safe and effective as primary course of two doses of Oral Polio Vaccination (OPV) at one month interval commencing the first dose from the six weeks of infant’s birth; 1st dose in 6 weeks, 2nd dose in 10 weeks and 3rd dose within 14 weeks. Our volunteers provided OPV (Oral Polio Vaccination) to children of the age groups of (0-5) years on these days throughout the block (Bijbehara). The main objective of our Immunization Programme initiative was to prevent the transmission of wild polio viruses among children of (0-5) years of age group so that the future generation of children will be free of the risk of poliomyelitis. Children who have been previously immunized and those who may be ill must also get pulse polio immunization. Humanity Welfare Organization staff members and volunteers also rendered mobile services, team members were also monitoring the vehicles playing on roads whether the children travelling were immunized or not. The programme was done under the supervision of Mr. Javed Ahmad Tak Honorary, Chairman Humanity Welfare Organization Helpline with partly guidelines from Childline Anantnag Coordinator – Ayash Ali Masoodi. The programme ended at 5:00 pm with positive feedbacks from general public, health Department Anantnag as whole child line team was appreciated for their commendable services. 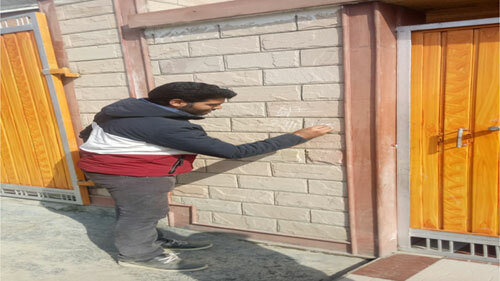 On the next day our volunteers also did house to house survey for those children who missed the polio drops. Those children who missed were immunized later. Block Medical Officer Bijbehara also visited the spot and appreciated our work and he thanked Our Organization and the staff members for such commendable work.